"An artist, museum educator, and man about town (specifically, New York City), Helguera is an amateur anthropologist of the art world. ( . 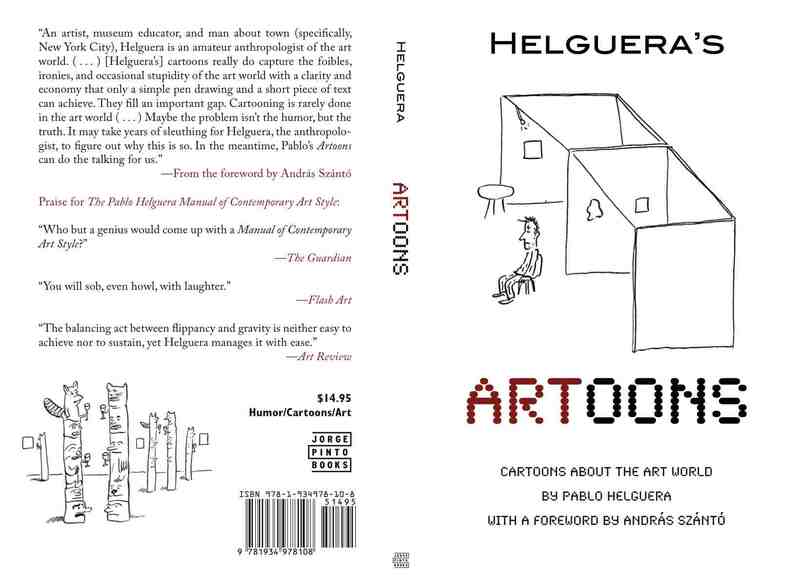 . .) [Helguera's] cartoons really do capture the foibles, ironies, and occasional stupidity of the art world with a clarity and economy that only a simple pen drawing and a short piece of text can achieve. They fi ll an important gap. 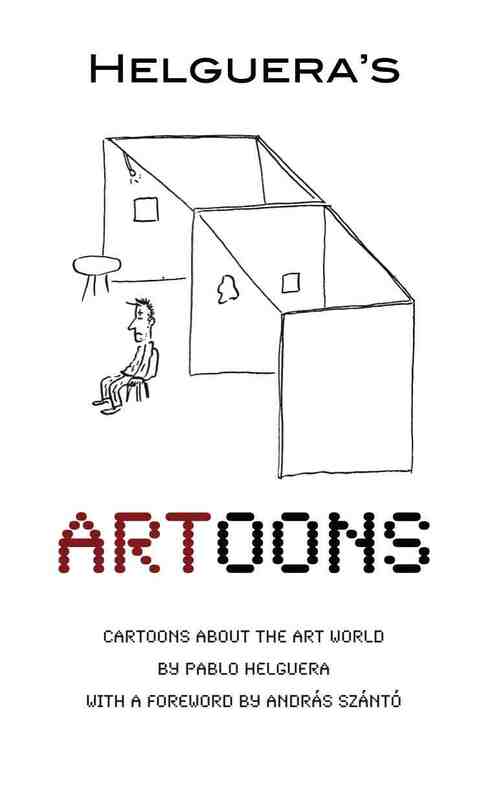 Cartooning is rarely done in the art world ( . . . ) Maybe the problem isn't the humor, but the truth. It may take years of sleuthing for Helguera, the anthropologist, to fi gure out why this is so. In the meantime, Pablo's Artoons can do the talking for us." "Who but a genius would come up with a Manual of Contemporary Art Style?" "You will sob, even howl, with laughter." "The balancing act between fl ippancy and gravity is neither easy to achieve nor to sustain, yet Helguera manages it with ease." Pablo Helguera is a visual artist. Some of his past art projects have included making a phonographic archive of dying languages, creating scripted symposia performed by actors (unbeknownst to the audience), building a memory theater, and founding a research institute exploring the global impact of Latin American soap operas. He is the author of fi ve books, including The Pablo Helguera Manual of Contemporary Art Style (2007) and the novel The Boy Inside the Letter (2008), published by Jorge Pinto Books. In 2006 he drove from Anchorage to Tierra del Fuego with a collapsible schoolhouse, organizing discussions and civic ceremonies (The School of Panamerican Unrest). In 2008 he received a Guggenheim Fellowship.